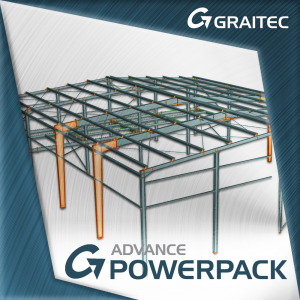 Compatible with Autodesk® Advance Steel 2017 and 2018. 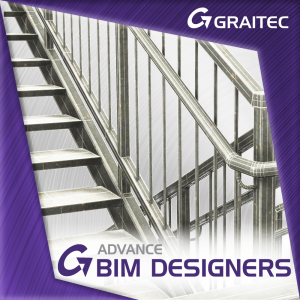 Part of the GRAITEC BIM Designers Collection, the Stair and Railing Designer offers fast and flexible stair and railing modeling for Advance Steel. 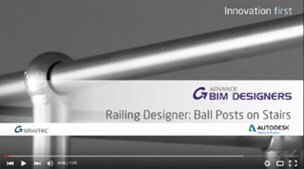 Design all aspects of ball post railings on straight or curved lines and elements, easily create standard or wall mounted handrails in Advance Steel projects and model balanced or saddle stairs and define their support members in the software. 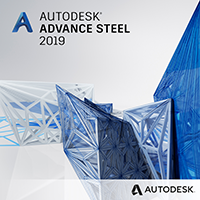 Using advanced algorithms, it is quick and easy to automate tread calculation when designing balanced stairs in Advance Steel using the Stair Designer. The option to create a variety of saddle stairs and individually define the support members from plate or section profiles. Create standard railings along either a straight or curved line on any object to fit with your Advance Steel project. Posts can also be seated on treads when used with the Stair Designer. Generate, adjust and position all aspects of ball post railings on straight or curved elements. Modify the kick plates, ball types, handrails and post styles and layout. With this new functionality, it is now possible to model key clamp style railings in Advance Steel® with minimal effort and just a few clicks. This type of railing is a popular alternative to the « classic » welded rails with multiple advantages (no welding, no special tools, quick and easy construction…). 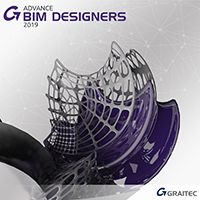 Advance BIM Designers - Share your ideas!